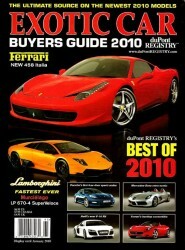 The Vantage Collection performance products were featured in the 2010 Exotic Car Buyers Guide presented by the duPont REGISTRY. The duPont REGISTRY highlighted The Vantage Collection as the ultimate source of modifying your Aston Martin. 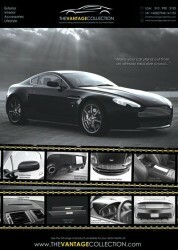 The magazine also showed a full page advert illustrating the range of products available for the V8 Vantage, DB9 and DBS.